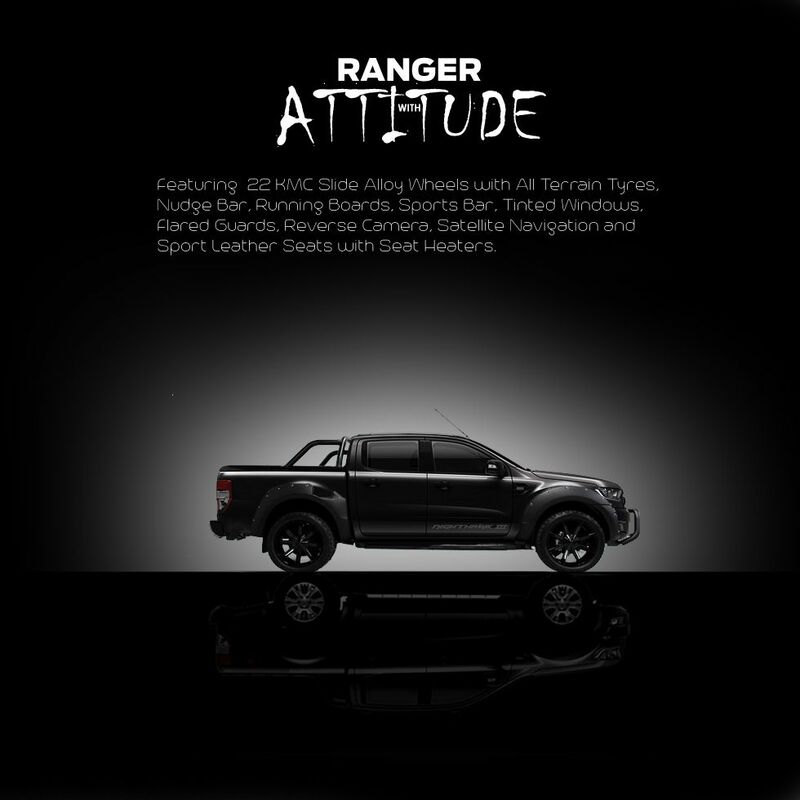 Unique to Courtesy Ford, the Nighthawk XLT Ranger is a tour de force in impressive ute design. Attitude isn't skin-deep either, as the Nighthawk Ranger sports an impressive array of standard additional features carefully selected by our highly skilled parts department. 22" KMC Slide Alloy Wheels with sturdy All-Terrain tyres.